Hello! 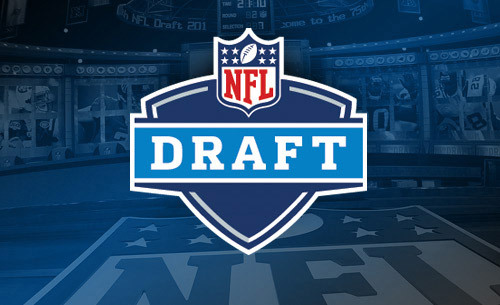 It has been a while since I was on here commenting on the broad range of topics on this blog, but I am back and ready to take on the NFL…at least with some draft analysis. The first thing I will say is that ESPN and the NFL surely have enough money to pay for more than 1 song to represent the draft. While I know that Aloe Blacc’s “The Man” is well-fitting and was used last season with some commercials, it was just too much to use it after every pick, into every commercial break, and any time they had to fill some space. That certainly felt like an attempt to overplay a song so much that peoples’ heads would explode from the insanity. No offense to Aloe, but I hope to not hear that song for quite some time. Starting with my home team, the Washington Redskins had some interesting conversation surrounding this draft. Some of this was off-the-field issues that would certainly detract from the actual movement of the team’s front office. The name dispute continues to grow again, this time surrounding the NBA’s reaction to Donald Sterling’s offensive comments. This is a story that will continue to weave itself back into conversation over and over again until the team finally makes a change. My personal belief is that the name is offensive and the organization could do with the change, even just to stop the insanity. Snyder will never have it and the other owners cannot seem to do a thing about it, especially in a league that fails to live up to the same standards as the NBA. Prior to the draft, the Redskins acquired some serious talent. Jason Hatcher from the Cowboys adds a little more depth to the OLB position. He is a hard hitter who can make an immediate impact on nickel defenses and potentially special teams. DeSean Jackson is likely the bigger name and had a great season with the Eagles last year. He fills in for the loss of Josh Morgan and will provide great balance with Pierre Garcon on the other side and Jordan Reed in the slot or coming off the line. Tracey Porter from Oakland also adds a little more to the CB position that struggled to maintain opposing offenses all last season. Replacing Reed Doughty with Pittsburgh’s Ryan Clark may not be the best move, but the team still made some good decisions with free agency. Entering the draft, this was to be the last season with the depletion of first round picks off of the RGIII deal. This meant that we were slated to pick 2nd in the 2nd round. We instead decided to trade down and made our most questionable pick of the draft as our first player. With many other needs clearly ahead of us, we went with OLB Trent Murphy out of Stanford. He was projected for 4th round or lower, making this a very questionable call when we needed OL, CB, S, or ILB. Our 2 picks in the 3rd round set up extra support on the O-line, with Morgan Moses from Virginia and Spencer Long from Nebraska filling some big needs. Bashaud Breeland of Clemson was picked up in the 4th round, adding another CB to help the depth at that position, although there were some stronger candidates still available at the time of his selection. Out of the final 4 picks, the best decision was RB Lache Seastrunk from Baylor. His speed, versatility, and experience with RGIII could be great for the team. The other picks included WR Ryan Grant from Tulane, TE Ted Bosler from Indiana, and PK Zach Hocker from Arkansas. With the 1st pick of the draft, Houston took Jadeveon Clowney from South Carolina. There was no surprise with this pick but it certainly will make Houston’s defense even scarier with JJ Watt partnering with the rookie. The first QB to be selected was not Johnny Maziel. Instead, Blake Bortles from UCF went to the Jacksonville Jaguars, as they seem to have had enough of Blaine Gabbert and Chad Henne. Jackson continued to sure up their offense with two WRs for their next two picks: Marquise Lee from USC and Allen Robinson from Penn State. WR Sammy Watkins was picked up at #4 by the Buffalo Bills, having sent Stevie Robinson to the San Francisco 49ers and needing to get more talent at receiver. This trade also pushed the Cleveland Browns from 4th to 8th in the draft order, gaining them an additional pick from Buffalo later. Cleveland seemed like they were channeling the move Draft Day with their movement throughout the draft. They shocked everyone when they decided not to select Manziel at #8, going with Justin Gilbert from Oklahoma State. The decision to not draft Manziel immediately hurt the QB’s stock, as he even slipped past the Dallas Cowboys. Jerry Jones later admitted that Manziel was the #1 option on their draft board if he was still available, but the contract extension for Tony Romo immediately changed their decision and Dallas went with OT Zack Martin from Notre Dame. Manziel continued to slip past a couple more potential teams until Cleveland traded back up from 26 to 22 to finally end the drama. Manziel, who should have been humbled by the experience, was a mix of annoying interactions. He flashed money hand gestures when he came out on-stage but proceeded to appear more humble in the interview immediately after leaving center stage. Browns fans are still mixed about this one. After finally moving past Manziel, the draft excitement calmed a bit, but Teddy Bridgewater was surprised to find out that Minnesota traded up to grab the Louisville QB with the final pick of the 1st round. Houston avoided the QB position in this draft, which appeared to be a position that they desperately needed. They eventually picked up Tom Savage in the 4th round, but there is not a lot of hope for him to succeed. Instead, the Texans passed on other options, including Fresno State’s Derek Carr (who went to Oakland), Eastern Illinois’s Jimmy Garoppolo (who went to New England), Virginia Tech’s Logan Thomas (who went to Arizona), Georgia’s Aaron Murray (who went in the 5th round to Kansas City), Alabama’s AJ McCarron (who went in the 5th round to Cincinnati), and LSU’s Zach Mettenberger (who went in the 6th round to Tennessee). Teams, like Cleveland and Kansas City, appeared to have a chance to help their offense immensely in this very WR-rich draft, but waited way too long to consider addressing the need. Kansas City never chose to get a WR, but picked up Oregon RB De’Anthony Thomas in the 4th round. Cleveland’s situation with WRs was more complicated, as news broke that both starting WRs may be out for at least part of the season. Breakout star Josh Gordon has been cited for failing 2 drug tests and could be suspended for the entire 2014 season. Nate Burleson, who was brought over from Detroit, injured himself in a mini camp and may not be available to play until the start of preseason. With no WRs picked up in the draft, they may have put either Brian Hoyer or Manziel in some serious trouble to start the season with only Greg Little and Jordan Cameron as legitimate threats. Some strange patterns developed in this draft. There were a record number of WRs selected in the first and second rounds. Twelve WRs were taken across 11 different teams. As far as RBs, the first one did not happen until the 54th pick. This unusual avoidance of RBs led to 1st round prospect Carlos Hyde dropping into the late 2nd round. RBs went flying off the shelf in the 3rd and 4th rounds, but this seemed like an unusual occurrence. The NFC West made themselves the division to fear again for this upcoming season, but the Cardinals and Rams were the movers and shakers that may have pulled the division more even than originally projected. The Cardinals balanced their offensive and defensive picks, including Washington State’s S Deone Bucannon, Notre Dame’s TE Troy Nikias, UNC’s DE Kareem Martin, and Pittsburgh State’s WR Josh Brown. The Rams added strength with Auburn OT Greg Robinson, Auburn RB Tre Mason, and Pittsburgh DT Aaron Donald. The Rams also made history with selecting Missouri DE Michael Sam in the 7th round. Having openly announced that he is gay prior to the NFL combine, he became the first drafted openly gay NFL player. The moment was shared widely over the media, but there were some unfortunate unfriendly reactions to the news. The reality is that the young man played hard for Missouri and should be individually commended on the combination of his dedication to the game and bravery for coming out in a testosterone-fueled, adrenaline-supported sport that has frowned on sexuality issues throughout its existence. Congratulations, Michael Sam and the the Ram organization! And now it is over. Time to see if these players hit the field in 2014, warm the benches, or get cut from the team prior to the start of the season. All sorts of speculation is ahead of us, and I am ready for it.